To understand how different Lakota’s fresh roasted coffee really is, we need to take a look at our roasting process. We begin with worldwide selections of the best green (raw) mountain-grown coffee that money can buy. Why mountain grown? The saying is: The higher a coffee plant is grown, the harder the bean, the harder the bean, the better the flavor. By some miracle of nature, coffee plants grown from 3000 feet and up (Arabica) produce very hard beans and truly amazing flavor components. We have been working with several coffee importers for many years to bring us the best coffee that money can buy. They employ experts who make sure that we continue to get the very best of the best! Now that we know we have the best beans in hand, preheating our small batch San Franciscan roaster to 400 degrees is the next order of business. What’s the big deal about small batches? Simply put, batches of 25 pounds or less are kept completely air-borne throughout the roasting process, imparting a very smooth, even roast. Our process takes a bit longer but we believe this is key to providing our customers with the best coffee that money can buy. So….. our next topic is temperature. Why is the temperature important? Many Coffee Roasting companies do short roasts at very high temperatures; this is known as “flash roasting”. They also tend to roast their coffee lighter than we do because it’s more cost effective. 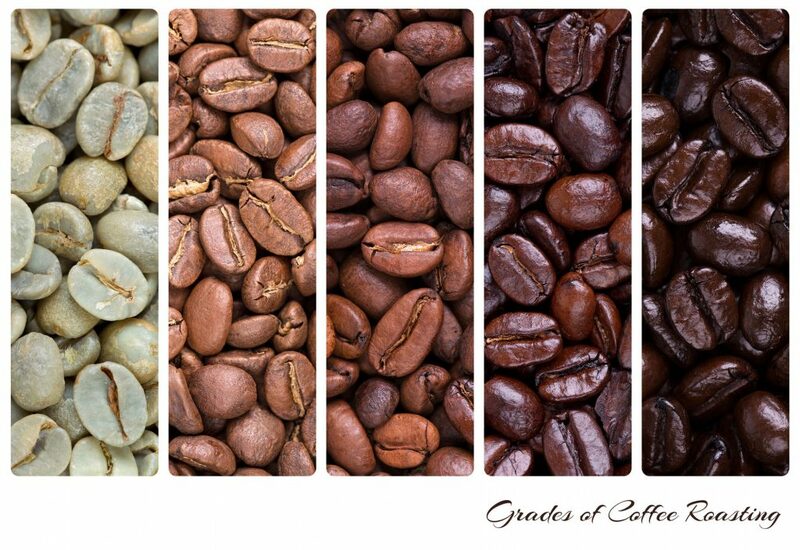 Green coffee contains some water weight so the longer you roast, the greater the weight loss. We roast a bit deeper than most other companies do because we believe that’s where the “sweet spot” is, where each coffee fully develops its flavor. We do a longer roast, from 12 to 18 minutes, at a lower temperature – from 400 degrees to no more than 440 degrees, depending on the amount and type of coffee being roasted. Then the coffee is air-cooled by simultaneously stirring the coffee and drawing room temperature air thorough it. Have you ever had a cup of coffee that has a slight grassy flavor to the cup….? Or the coffee just doesn’t seem to have much flavor? That’s probably because it’s been under-roasted. 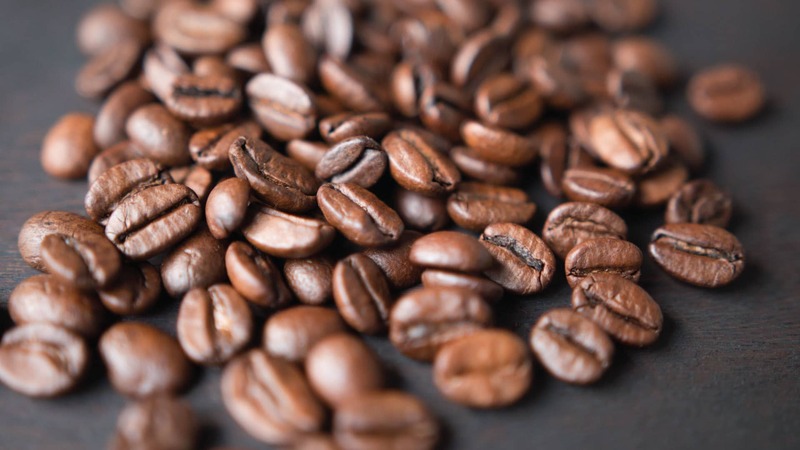 Why would a roasting company take a great green coffee and under-roast it? Well… light roasting saves water weight so roasting companies can save many thousands of dollars each year. It’s more expensive to roast our way because we lose up to 18% of the coffee’s weight during the roasting process. The goal here is to gently bring each coffee up to its full potential, through personal attention to the characteristics of each coffee. This is why we call it “hand roasting”. Every roast we perform gets hands on, personal attention. Every roast is different, depending on everything from the type of coffee, the specific type of roast we are doing, and the humidity and barometric pressure on that particular day. It’s not rocket science but the result of paying attention to the details of each and every roast pays big dividends in terms of pure unadulterated flavor “in the cup”! Here you can see the different stages of coffee roasting, starting with Green… moving through to a French Roast. To get the full story on roasting visit our roasting tour page at Specialty Coffee Advisor. Here you will find a complete step-by-step pictorial roasting tour as performed on Lakota’s 25 pound San Franciscan Roasting Machine. When we say we’re serious about our coffee, we mean it. Give us a try – we guarantee you’ll love us or your money back!